Explore our spacious vacation homes in sought-after locations near Disney. Escape the crowds in the comfort of your home away from home. Each home has been hand-picked to ensure the privacy, space comfort and amenities of home - all just a stones throw from the excitement of Orlandos top theme parks and attractions! Just west of Orlando, the residential town of Clermont is a quiet alternative to the hustle and bustle of busy Orlando. Youre still just minutes from Orlando theme parks and attractions! The small Florida town of Davenport offers a welcome dose of southern hospitality. Come for the proximity to the theme parks, and stay for the small-town charm! Known to many as the "heart of Florida," Haines Citys central location makes it the perfect home base for your Florida vacation. 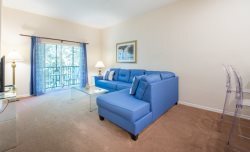 Just a short drive will get you to Orlando theme parks and attractions, however, youll enjoy quiet, small-town living back in your vacation home! Be sure to explore Main Street - home to downtown Haines City for over 100 years. One of the most popular places for Disney vacationers, Kissimmee is not only central to the theme parks (just a few minutes drive!) but is also home to popular shopping centers, miniature golf and other attractions.